B.E. 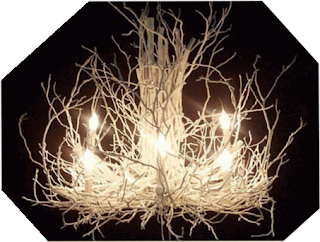 Interiors: My Twiggy Chandelier for a Fraction of the Price! My Twiggy Chandelier for a Fraction of the Price! O.k guys. I know ya'll have been wondering if I was just all talk about the dining room being redone...especially the chandelier, right? I'm not, I promise. I'm just not able to work on it full time, so it's a slow process. Hang in there with me, o.k? I'm taking it step by step. Rushing never produces anything as wonderful as what patience and diligence can. 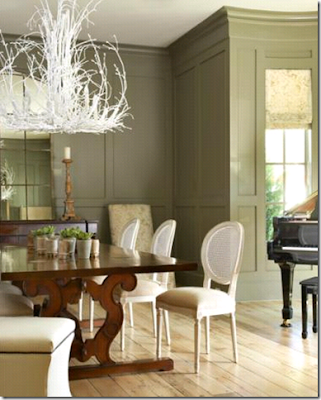 I've chalked off one more thing on the list: recreating a twiggy chandelier from my existing one! Wha-hoo! I've been a little nervous wondering if I could pull this off without it looking like a pile of kindling tied to the ceiling. The result is...exactly what I was after (thank goodness), and I LOVE it! 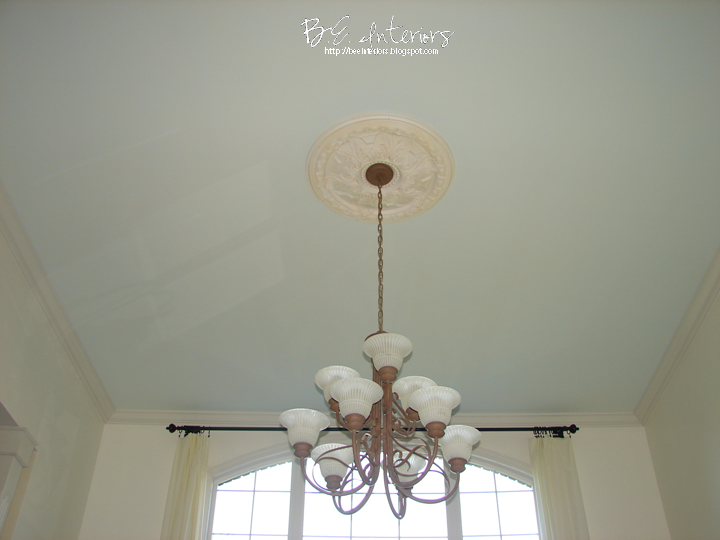 My hubby thinks I have completely flipped my lid to put sticks on a perfectly good chandelier, but I love the after. When my sister-in-law walked in this evening, it was the first thing she saw and couldn't get over it being the old piece reworked. She thought it was gorgeous...which is exactly what I needed to hear - confirmation that it was worth the work. would be a different story, but it wasn't. This has become my inspiration room due to color and style similarity. Maybe the hubby will allow the white now that he sees it did turn out good! Then I took the globes off to see what I could do with it. Then I put the globes back on after repainting and liked it a little bit better, but still wanted to try the twiggy look. At least I knew if it didn't work, I was o.k. with the original now. The glass garland was an afterthought to add a little "juxtaposition" and sparkle. I love the way the light plays through the crystals and twiggs. I'm really liking the mix between the rustic twiggs and crystals. Fun! How cool is that pattern on the ceiling?! This is awesome! I would love to see a tutorial. Visiting from Under the Table and Dreaming. I just had to comment. Your chandelier looks AMAZING!! I kinda like it in it's natural rustic color...it plays off the prettiness of the crystals really nicely. A tutorial would be great...I have a sneaking suspicion that my hubby would love this chandy...because it would fit right in in a log cabin (an extremely glamorous log cabin!). Have a great weekend! Totally COOL!!! The crystals add just the right amount of "extra". It keeps it formal looking without going overboard. I was having a hard time envisioning what it would look like, even with all the pictures you'd provided of others. It looks great, I agree with Kim. I LOVE it !! Absolutely gorgeous, and it's perfect for your dining room. So impressed with your "skeelz" ... your dining room is stunning and your "new" chandie will prove to be quite the conversation piece! Love! You did a great job recreating that chandelier. this turned out beautiful...the crystal really makes it pop...would love a tut to see how you did the twigs with the curves, etc.....just love it!!! This turned out great! I love the crystals too so beautiful. I would love to how you accomplished this look at such a low cost!! I love it! The look, the sparkle, and the price. Great job thanks for sharing. I would love to see you a tutorial! I would love to see how you connected everything! I would love to see the tutorial! I am really interested in how you attached everything. You did a great job. The chandelier looks awesome. But you said something about adding height to your lights. Try some wax sleeves. These are hand made. If you go on "For the love of a house" blog you can see what they look like. You have a beautiful home. It looks amazing! Really love the mix of elegance and rustic. My husband wouldn't get it either if I wanted to put twigs on our chandelier, but he would humor me and let me go for it. I'm excited for you that it turned out so great! Oh Miss Bee, it's absolutely stunning! You really nailed it! I will be anxiously awaiting a tutorial. 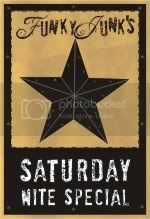 You just added a touch of fabulous to my Sunday! Excellent construction, love the price, and the crystals are a knock out. Your instincts about them were spot on. This is a truly inspiring DIY project that just happens to look very expensive. I'm grateful to Centsational Girl for pointing me in your direction! I LOVE it! You did a fabulous job on it and of course, the bling is my style. I hope that you truly enjoy it ~ looks amazing. Oh my goodness!!! I love love love this chandy! PLEASE do a tutorial!! I think it turned out fantastic! Great job. And I would certainly enjoy a tutorial. ok, here's my reaction when i saw your chandy. "mouth dropped open and said WOW!" that is truly an amazing transformation from traditional to breathtaking. i LOVE that you added the crystals and how they "light" up as though they too were electrified. the combo of crystal and branches is a perfect eclectic mix. Please do a tute! It is beyond gorgeous! This is absolutely unbelievable! I sm so impressed! I can't wait to see the tutorial, especially how you made the twigs curl, or if you had to find curved ones. Either way, it is truly the best DIY I have seen in a long, long time! Love, love, love this. I have been wanting to make a stick chandelier for awhile and after seeing yours I may just get myself in gear and do it! I'm not usually a fan of crystals but they look absolutely perfect on this rustic piece. Amazing job! Where do I even begin?? It's amazing! I kept going back and forth among all the pictures, trying not to miss any of the details. It's beautiful. Great job! I love your twig chandelier! I have been wanting to make one and am anxiously awaiting your tutorial. Thanks! Wow, that is awesome. Great, great job. Oooooh ... ahhhhhhhh! Glam yet rustic at the same time. Nice work! I LOVE IT! Can't wait for a tutorial! Beautiful - and I really like the glass garland you used! New follower (can't believe I haven't seen you before!) 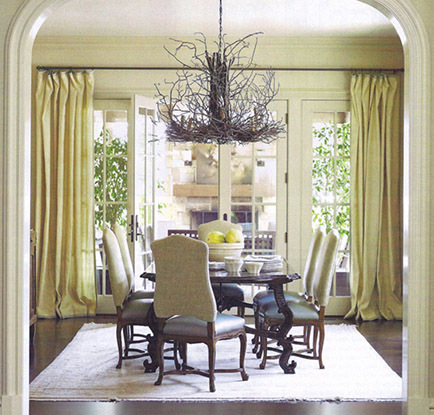 coming from Kate's blog where she featured this chandelier. I have loved creating such things that aren't in the ordinary. BEAUTIFUL! Prettier than your inspiration! What are the bulbs your are talking about, as well as the extensions??? I have not heard of these before. And your photography is beautiful! This is my first time to your blog-love it! You did it! You did it! You made it absoultly amazing. Perfect mix of rustic and elegant. Such talent. This looks awesome! I would never have believed your "before" photo turned into this! Saw you at Sundae scoop! LOVE it! I've been looking for an old chandelier to work with and haven't been able to find anything I love. Now I see I can find something more modern and make it my own! PLEASE, PLEASE, PLEASE do a tutorial! It's amazing! I love it. And I love your added 'bling'! I LOVE this chandelier and would love to see a tutorial. Can't wait for the tutorial! Love the way it looks! Stop now, it's perfect! WOW! LOVE LOVE LOVE IT! Those twiggy chandys are so expensive and you've made it work! Please let us know how you did it! AWESOME!!! OMG, how did I miss this!! I love it and you did a fabulous job. See you don't need my chandy. I hope you share it at wow tonight. Definitely a WOW!! YOu have reached your goal of a gorgeous twiggy chandy! This is one of the best transformation I have ever seen in bloggland! Please, please do a tutorial! This is something I would think about doing! Wonderful, Wonderful, Wonderful!!!! I´d love to see a tutoral! I´m new to the blogging community and it would be my first project! I definitely vote for the tutorial! I host a party and would LOVE for you to share this. Please come by and check it out. Bunny Jean's Decor and More, my main blog. Home to Wednesday's Bunny Hop Party! Love it! I've also been fawning over the inspiration pic you posted. Please please please post a tutorial! It's absolutely fabulous! What I like is the 'repurposed' aspect of it that fits so well with my blog theme. Going to feature this one (looks like we are both newer bloggers, having started about the same time - that's fun). Any more unique repurposed projects up your sleeve? Can I add my PRETTY PLEASE for a tutorial! I LOVE this! It is so fabulous. :) Great job. This is absolutely stunning! This is a huge hit girl and I'm sure your gonna get enough interest to do that tutorial..I know I will check it out! Love everything about this project - a how to tutorial please! I'm speechless! WOW WOW WOW! I need to do this to my chandelier ASAP. Did you just collect random twigs and piece it together? A tutorial would be FANTASTIC! You've won me over.... I'm a new follower! Wow that is gorgeous I am a new follower came over from Mamie Janes blog! Spectacular!! Simply awesome!! Love love love it. wow this is very amazing! I like it natural, and I tend to paint most things white!! The sparkey part is the best thing you added cuz it makes the natural twigs look chic. very very nice! Ohhh my gosh!... Totally phenomenal masterpiece! That has to be one of the cutest nurseries I have ever seen! This is awesome. I would love to know how you attached the twigs. Did you wire them or glue them on? This a fabulous project, you did an amazing job! I love, love, love it! this is amazing, and exactly what i'm looking for! would any of these be for sale? in regarding blοgging. You have touched some рleasant factors heгe. Yοu ѕhoulԁ be a part of a contеst for one of the fineѕt webѕiteѕ onlіnе. how can і subѕcribe for a blog wеbsite? The account helped me a acceptаble dеal. WOW!!! it's beautiful. Your website has exceptionally lavish interior crystal chandeliers. Love all the crystal chandelier designs. Well darn girl this is the bomb I mean it's bananas great. I love it. Visit BGAOC for online video poker, blackjack and other gambling games. One of the highlights of each day is hearing from my readers! Welcome to my blog! I'm a career woman turned stay-at-home mom to three adorable boys, wife, artist, and incurable DIYer, thrifter, decorator. My favorite mediums are fabric, paint, and wood. What can't be made beautiful with one of those? This is my blog to share my work, ideas and things I've learned. 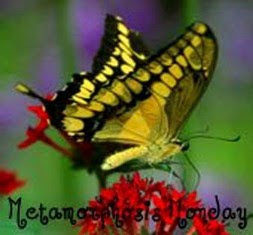 I hope you are as inspired by my writings and photos as I am by so many of you wonderful design bloggers out there! Caution: Dining Room in Progress! A Great Coffee Table Book! Hey, Ya'll...Look what I found! "Never be afraid to try something. Remember, amateurs built the ark; professionals built the Titanic!" This website and its content, including original designs, are property of B.E. Interiors. Simple theme. Theme images by Ailime. Powered by Blogger.